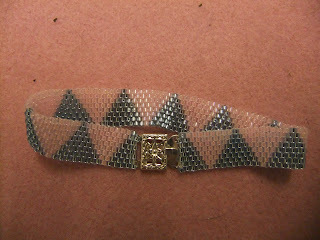 This is made from delica beads, and took ages and ages to weave. 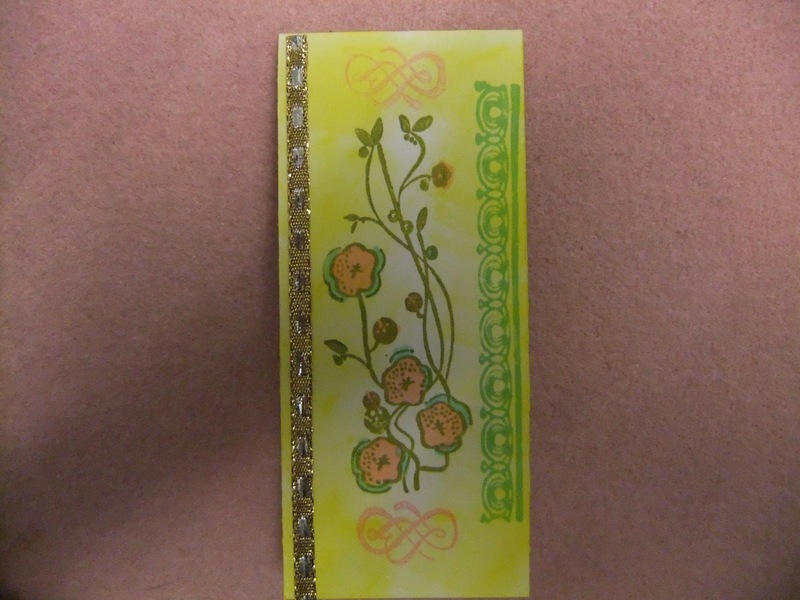 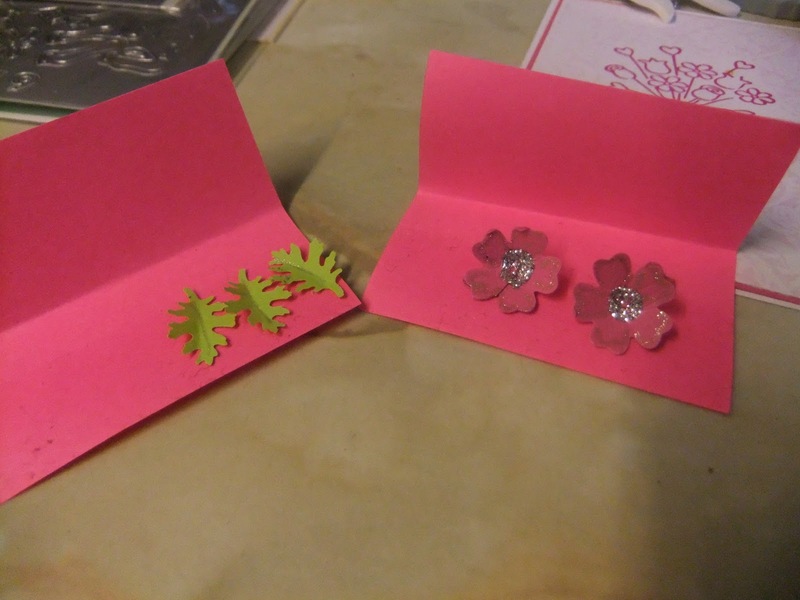 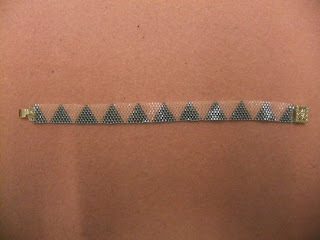 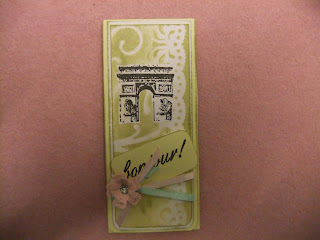 Helpful hint: when decorating tiny embellishments, stick them onto post-its so you don't lose them! 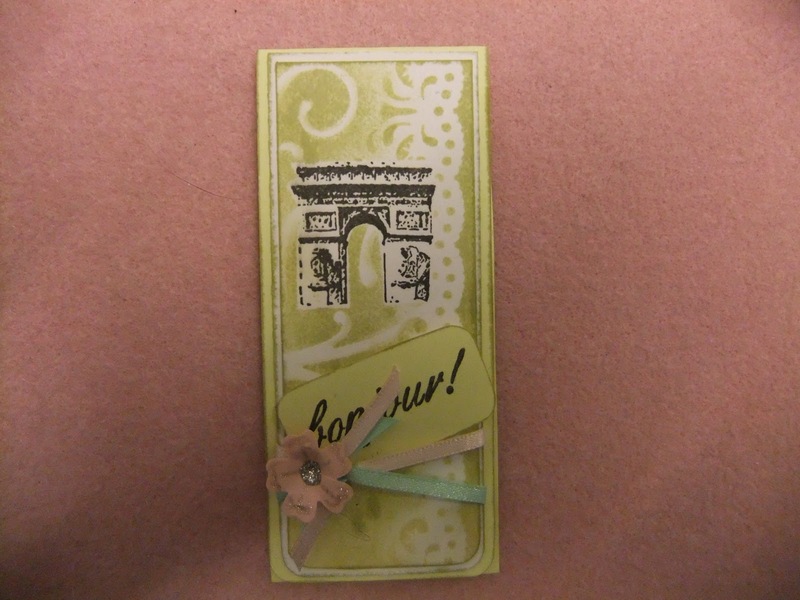 This is the scrapling I made for the February Craft Stamper magazine challenge. 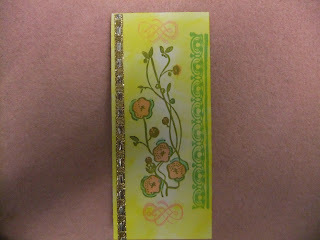 The colour scheme was sage green, yellow and pink I think.